PLUM DREAMS MEDIA is a communications company dedicated to transforming women’s lives and revolutionizing society by listening to our dreams. Through print, digital, and broadcast media, PDM explores the power of dreams to reveal, guide, and heal. 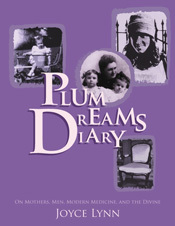 PDM publishes the digital publications POLITICAL DIARY and PLUM DREAMS JOURNAL and also the book PLUM DREAMS DIARY, a collection of dream accounts exploring the female psyche. Founder and Editor-in-Chief JOYCE LYNN is a journalist with more than 30 years of experience, including nearly a decade as a political reporter in Washington D.C. Since she remembered her first dream in 1984, dreams have guided her writing, health, and social activism. Crossing the plains of Iowa during a spring, 2002, train trip, she dreamed of the union of two freight cars, conjoining the disparate worlds of journalism and consciousness. As a political reporter in Washington, D.C. during the 1970’s, Joyce knew something was amiss in the left-brain, intellectual capital of the world and inside her own being. So, she studied Transcendental Meditation and then participated in the est training, two powerful technologies for educing personal and social alchemy. After Joyce moved to San Francisco in 1981, her first dream — ever — imparted a pivotal scene for the screenplay she was writing. Like the heroine, the dream redirected Joyce’s writing and work toward empowering women to empower themselves and each other. Then, dreams benefited physical well-being, guided her personal life, and dictated the a three-step blueprint for healing. Joyce’s book PLUM DREAMS DIARY shares nocturnal insights about mothers, men, modern medicine, and the nature of the Divine. During the 2000 election recount, her dreams predicted the results with 100 percent accuracy. 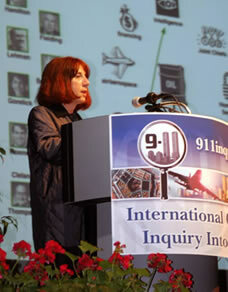 Interviews with artists, writers, and colleagues confirmed the power of dreams to report and decode news events. 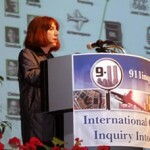 Dreams, including a September, 2001, image of a sludge-filled glass tumbler, instigated her pioneering reporting about 9/11 published in POLITICAL DIARY. Then, Joyce founded PLUM DREAMS JOURNAL, combining information, intuition, and imagination to evince positive social change. Drawing on degrees and training in education and journalism, Joyce writes and speaks about the power of dreams to expand women’s awareness and consciousness in matters of creative self-expression, health and healing, politics, media, and spirituality.